Howard was an equity partner at a leading mid-Atlantic region integration company in the late 1980’s. He managed all aspects of that business from pre-sales to service including recruiting and employee training. 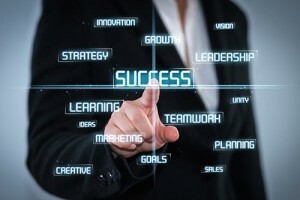 In addition he developed strategies focused on capturing new business opportunities. He personally captured and project managed the installation and implementation of the first category X airport access control and ID management systems at Dulles International and Reagan National Airports and the ID management systems at Chicago O’Hare and Midway Airports. Under his leadership he grew that organization from several hundreds of thousands of dollars in revenue to over $15M. In 1993 he founded VASEC – Virginia Security and Automation. That company grew from a home- based business to an acquisition target – purchased twice and now owned by the largest security company in the world. A business that under his leadership grew from thousands to $20 M with an EBITA in the mid teens. These experiences and strategic activities provide the basis for Belfor & Associates, LLC’s Integrator Services. Do you want to grow revenue while managing expenses? Are you experiencing disappointing sales results? Are your clients only interested in the bottom line (a.k.a. the price)? Are you ready for some help? Well you are not alone. There are scores of folks, books and seminars, webinars and the like all touting the best and newest cures to your ills. The real bottom line is they are not industry specific nor are they standing or walking in your shoes. I understand what your clients, vendors and that your employees all want and how you can leverage Belfor & Associates to maximize your results. Our initial meeting helps to provide the detail often needed to establish expectations and identify which strategies that are in place today. An assessment of what you think is working and what you believe isn’t. All contact is managed with a Belfor & Associates, LLC non-disclosure agreement. Your business is your business; we are there to help not write a blog or newsletter about you and yours. Ours is a “trusted advisor” role. As an independent consultant we will offer a candid and thoughtful assessment and provide assistance, which is intended to grow your business not rip and repair it. If growth and an exit strategy are your objectives we will identify realistic expectations and methods to achieve your objective. A “Statement of Work” governs all activities. This custom document is the basis for our engagement and may be adjusted by mutual agreement. All along the way Belfor and Associates, LLC can provide the necessary documents, management planning resulting in a successful program. Our solutions are offered in a prescriptive method – that is we show you how taking consistent steps and deliberate focusing on strategies will yield results. What everyone wants – more negotiated business! It starts with a plan that includes knowing how to differentiate – not only your company but also, your employees – they are the company. Howard and other Belfor & Associates provide personal instruction. 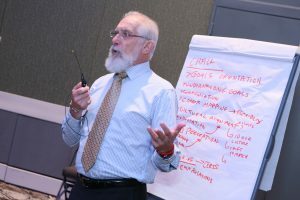 Howard’s knowledge of selling and technology along with his energetic presentation style provides a lasting positive impact. Whether your needs are in the financial – back office related or process systems. We have the associate with the skill set to help with your special Security Integrator business needs. Our comprehensive approach to our services enables us to provide a full range of tasks and response to specific scopes of work.